Ipsen is set to pay out a total of $1.3bn to buy Clementia Pharmaceuticals in a move that will significantly boost its rare disease portfolio. In return for its $25 per share in cash upfront offer, Ipsen will get its hands on palovarotene, the Montreal, Canada-based firm's lead candidate, which it believes has potential in multiple rare diseases. The drug is an investigational retinoic acid receptor gamma (RARγ) selective agonist currently in late-stage development for fibrodysplasia ossificans progressiva (FOP), multiple osteochondromas (MO) and other diseases. It inhibits excess bone morphogenetic protein (BMP) signalling, which is linked to the progression of FOP and MO, two well-characterised, severely-disabling bone disorders. A New Drug Application (NDA) for palovarotene for episodic flare-up treatment of FOP is expected to be submitted to the FDA in the second half of 2019, with a commercial launch in mid-2020 if approved. 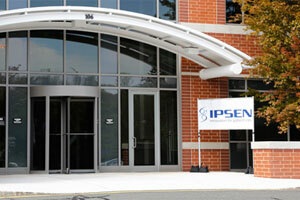 In addition, should the FDA accept a future NDA filing for the drug in the treatment of MO, then Ipsen has agreed to pay out a regulatory milestone in the form of $6.00 per share, an additional payment totalling $263m. Ipsen could enter a potentially lucrative market with palovarotene for both FOP and MO, for which there are no current treatments approved for these types of diseases. Alongside its potential in FOP and MO, for which palovarotene has received orphan designations from both the FDA and EMA, the drug is being trialled for dry eye disease, currently in phase 1 testing. 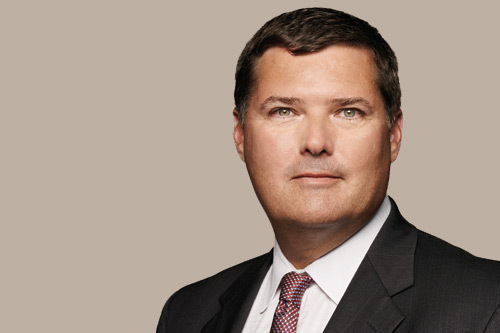 “Through this transaction, we will gain scientific expertise, exceptional talent, and a cornerstone ultra-rare disease drug candidate with rare paediatric disease and breakthrough therapy designations, potential US approval in 2020 and additional indications to follow,” said David Meek (pictured below), CEO, Ipsen. “The acquisition of Clementia Pharmaceuticals accelerates the ongoing transformation of Ipsen as we are successfully executing on our external innovation strategy to identify and acquire innovative medicines to serve patients with unmet medical needs. Clementia was founded nine years ago and has established itself as a rare disease pharma company, more specifically it focuses its efforts finding treatments for those with ultra-rare bone disorders. The deal is expected to close during the second quarter of 2019. Dr. Clarissa Desjardins, chief executive of Clementia, commented: “Ipsen’s global commercial presence and capabilities will expedite our shared vision of bringing palovarotene to patients around the world as quickly as possible. Meanwhile, it’s a busy day for M&A in pharma, with Roche announcing that it is to buy Spark Therapeutics for £4.3bn in a bid to boost its cell and gene therapy efforts.